Babushka and Cristyl's Crew were sent a dvd and a box of promotional items for this post. No other compensation was given. Opinions expressed are of BB and the Crew. Babushka has a confession to make. 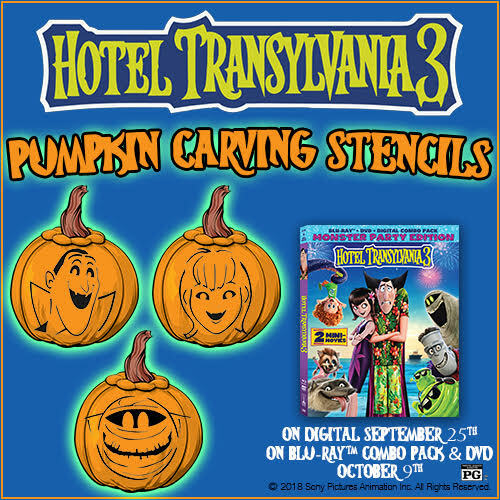 She never saw any of the prior Hotel Transylvania peliculas. Being a long distance abuela, some of the animated movies slipped by. Now that Cristyl's Crew is nearby, BB's playing catch up. The Hotel Transylvania series was liked by them, so when BB was offered the Hotel Transylvania 3 , she felizmente said Si! Thankfully the characters are likeable, the premises and plots not too complicated, so by starting with #HotelT3 BB didn't get lost and was able to catch up and enjoy the movie almost immediately. Now here's a sypnosis of it. 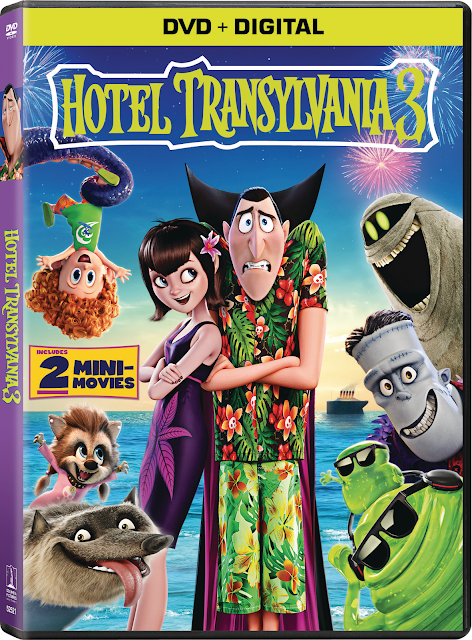 "follows in the tradition of the blockbuster Hotel Transylvania franchise when Mavis surprises Dracula with a family voyage on a luxury, haunted monster cruise ship. Of course, the rest of the Drac Pack has to tag along, and that’s when things get a little…batty. The monsters are having a great time, indulging in all of the shipboard fun the cruise has to offer, from monster volleyball to colossus-sized buffets and exotic excursions, but then the unexpected happens when Drac falls for the ship’s mysterious (and dangerous) human captain Ericka. The third film in this family-friendly monster franchise is the best reviewed installment and you’re invited along on the haunted cruise vacation!" And as if the movie by itself wasn't enough, they have mucho extras on this one! And you know what else it includes Beautifuls? Hispanics. From our own multi talented Selena Gomez, the howls of laughter when El Chupacabra was having chivo cocktail, to the fun memorias the Macarena brought, Babushka appreciates and understands why there are 3 in the series and looks forward to more. Babushka not recommend Hotel Transylvania 3? Not only does she recommend, she's gonna go and get the collection! Thankfully they're available to purchase online as well as in physical tiendas. Off to buy some caramelo y popcorn to enjoy #HotelT3 again! !